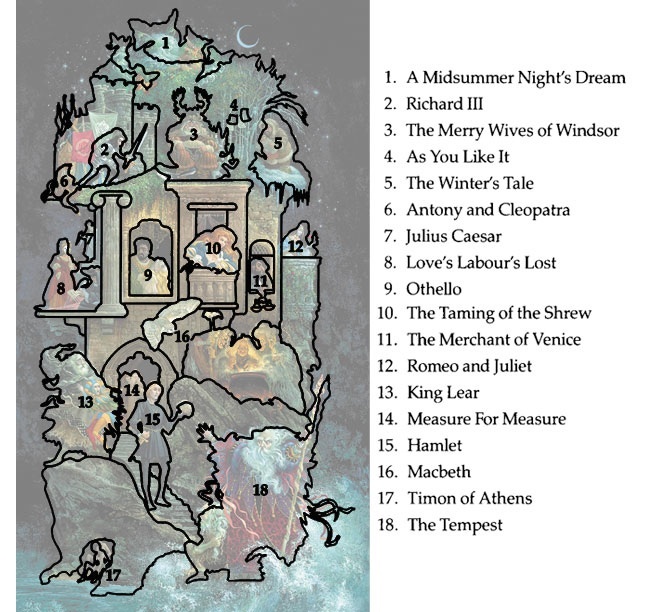 Originally created for the Folger Shakespeare Library, the world's largest collection of Shakespeare materials, Shakespearean Fantasy will be featured as part of The Utah Shakespeare Festival's 50th Anniversary. 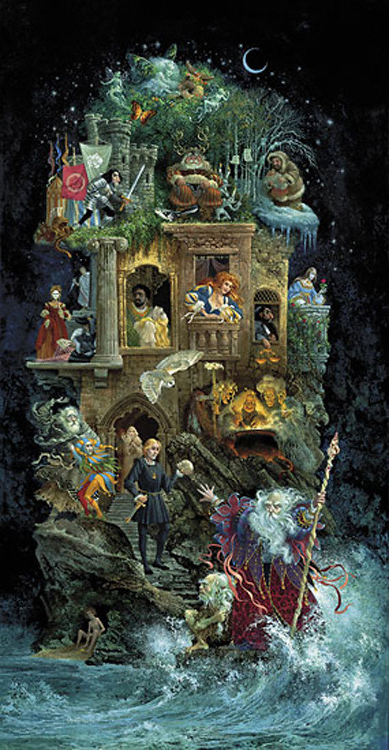 Now, for the first time, this unique vertical work is being made available as a limited edition. Our MasterWork™ edition at 40” tall and 21” wide will become the center of attention in any room it is displayed. James Christensen’s first reaction at seeing the MasterWork™ was that he had forgotten just how impressive the painting was. For places that are ideally suited for a vertical work but aren't as large, our 29” x 15” will fit that space perfectly!